Mergers, acquisitions, and other business combinations involving large companies very frequently give rise to litigation. 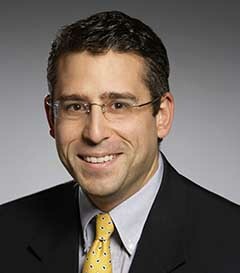 The archetypal “deal litigation” case is the action, filed on behalf of a class of the acquired company’s stockholders, alleging that the directors of the company breached their fiduciary duties in connection with the transaction. The alleged breaches run the gamut from a failure to seek alternatives, to an attempt by the directors to entrench themselves, to self-dealing. Although not all of these cases are without merit, it is a fact of modern life that many of these types of actions are filed quickly after the announcement of a transaction, often relying on the same allegations that have been made in dozens or even thousands of previous complaints. 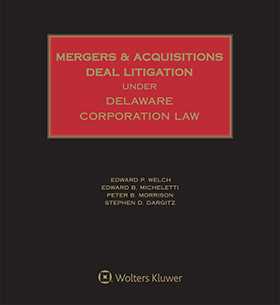 Mergers and Acquisitions Deal Litigation under Delaware Corporation Law examines the process by which these (and other actions that frequently arise from mergers and acquisitions) are litigated. Other common types of deal litigation include litigation between two parties to a transaction concerning provisions of their agreement, summary actions to determine the proper membership of a corporation’s board of directors, and complaints by unsuccessful bidders. Mergers and Acquisitions Deal Litigation under Delaware Corporation Law focuses primarily on litigation in the Delaware Court of Chancery. Not only does that court hear many of the most important deal litigation cases, but it historically has been at the forefront of shaping the law of directors’ fiduciary duties generally. This book also addresses case law from courts in other jurisdictions in cases governed by Delaware law. In addition, we discuss the companion litigation that is sometimes filed in federal courts, which have exclusive jurisdiction over, among other things, claims based on the Securities Exchange Act of 1934. Invaluable and insightful practical guidance for the securities and M&A practitioners, offering quick access to information that is relevant to all stages of pre-trial, trial, and post-trial practice, including Guidelines to Help Lawyers Practicing in the Court of Chancery, and Court of Chancery Guidelines for Preservation of Electronically Stored Information. 6.02 Is There a Contract?